If you’re excited about a new addition to your family – be it a cat or a dog – it’s critical that you pursue pet vaccinations to maintain its health. Ignoring vaccines is incredibly dangerous for your pet and puts them at risk of contracting dangerous – even deadly – diseases, including rabies, distemper, parvovirus, Lyme disease, and feline leukemia virus. Even if your pet is largely kept indoors, it’s not possible to completely eliminate exposure to these diseases, so vaccination is highly – highly! – recommended. In today’s post, we’re going to look at a few of the major reasons why you should consider dog and cat vaccinations for your new pet. The first and most obvious reason to seek out pet vaccination is to prevent your pet from contracting diseases. In most cases, vaccination alone sufficiently boosts your pet’s immunity to fight of common illnesses. When your pet is vaccinated, you can rest easy knowing that they are safe and, more importantly, that you’ve taken the steps necessary to safeguard their health and happiness. Treatment for preventable diseases can be costly, both emotionally and financially. 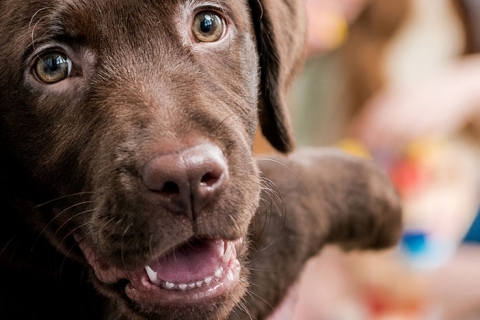 By vaccinating your pet, you’re working to prevent future heartache and expenditures. The worst situation for any pet owner to be in is to see their beloved friend suffering and being unable to do anything about it. At Hearts & Paws Animal Hospital in Kalamazoo, we strive to offer affordable, compassionate veterinary services to everyone in the area. We know how important your furry friends are and treat every pet as if it were one of our own. If you’ve been searching for an experienced, caring, and proven veterinarian in the Kalamazoo area, contact us today to learn more!